We are a locally owned and operated pharmacy. We are a full store with cosmetics and giftware as well as all of your pharmacy needs. Our community matters at Pharmasave. 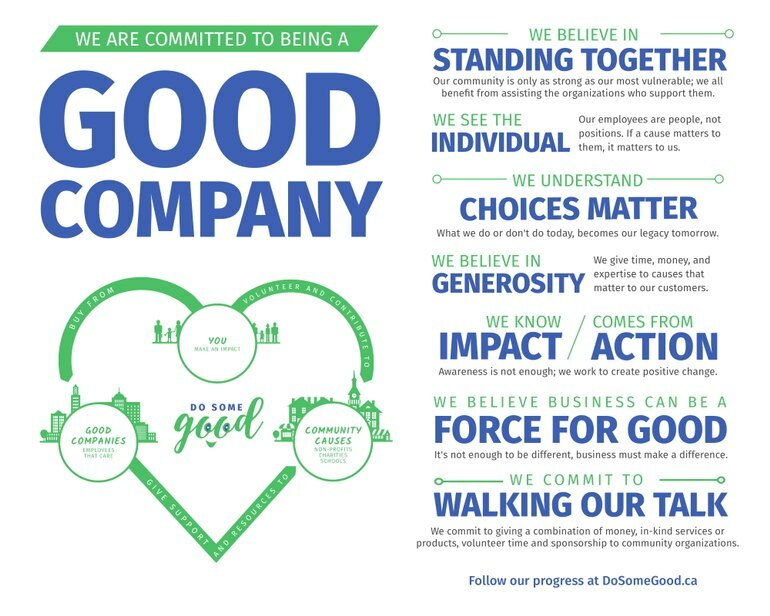 Happy to introduce some brand new GOOD COMPANIES to the Do Some Good network! Pro Oil Change, Pharmasave Kelowna Downtown, Robertson's Clothing & Shoes, Streu-Krahn Wealth Management Group, Dittos, Raw Athletics, Nourish Kelowna, FSH Kelowna, and Teaberry's Fine Teas. Can't wait to welcome them on board and further our impact in the community together! Welcome to the network, Good Companies!